Thesis on: "The Technique of Fly Swimming Movements and The Possible Improvement Methods"
"Swimming Technique, Starts and Turns Complex Analysis; Computer Models"
Practical implementation since 1980 in the preparation of swimmers of the national swimming federations in Estonia, Finland, The Soviet Union, Russia, Sweden, Norway, The UK, Italy, Greece, Spain, Portugal, Latvia, Lithuania, Canada, Australia, and others. "The Analysis Models for Swimming Competitions, Hardware and Software"
Practical implementation in all European Swimming Championships since 1986; World Swimming Championsips and the Olympic Games swimming programs. Organizer of LEN swimming coaches clinics during European Championships and regional LEN clinics. Co-author of book "Perfect Swimming - Technique and Tactics" written by prof. R.Haljand and T.Tamp, (c) 2007. In this book authors analyze world best swimmers' technique models. Swimmers analyzed in this book have earned their names in the world of swimming by having noteable titles, records and medals such as Ian Thorpe, Lars Frölander, Aleksandr Popov, Jani Sievinen, Mark Foster, Inge de Bruin, Therese Alshammar, Anna-Karin Kammerling, Johanna Sjöberg, Emma Igelström, Otylia Jædrzejczak, Bartosz Kizierowski, Peter Mankoè, Oleg Lisogor, Andrei Serdinov and many more. In total more than 1000 swimmers have been analyzed. 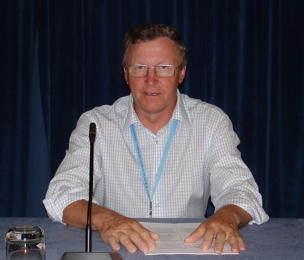 Internationally acknowledged lecturer in seminars and conferences on "The Methods of Testing and Teaching The Technique of Swimming Styles, Starts and Turns" and "Competition Analysis in Swimming"
Lectures, conferences, meetings, consultations and conventions since 1980 in over 100 different countries. Perfect Swimming - Technique and Tactics, book by prof. R.Haljand and T.Tamp, (c) 2007 (244 pages, in Estonian).